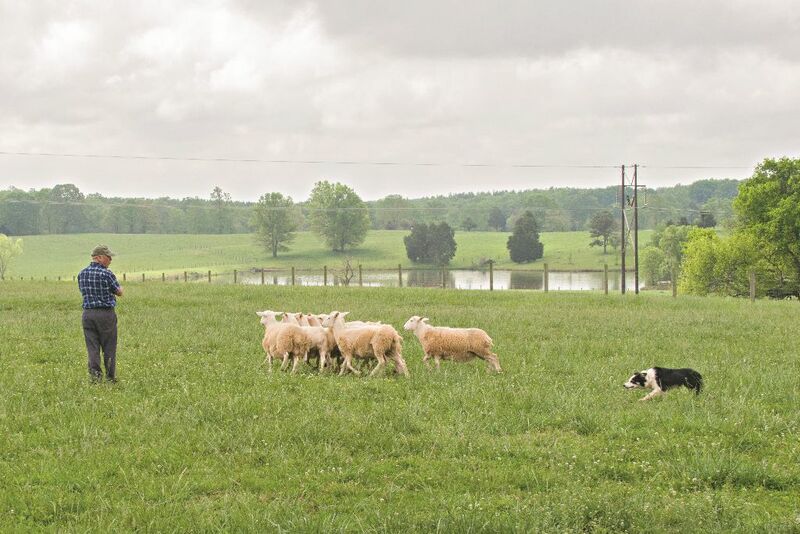 In the Spring we spent a day in the field with Championship Dog Herding Trainer, Tom Wilson, of Gordonsville, VA. Meg and Kate, two of Wilson’s herding border collies, danced around him. Ecstatic and eager, their entire focus was on him as we moved toward the pasture, undoubtedly because they suspected what was coming. As anticipated, once through the pasture gate and after Wilson’s command, they darted away from us as if they’d been shot out of a cannon. Although the sheep were barely visible on the far side of the beautiful green pasture, Meg and Kate fetched them to Wilson in short order. Communicating through imperceptible body language, clipped verbal commands, and whistles, Wilson demonstrated what and Kate were trained to do. And it was impressive. Read more about Tom in our July/August 2016 issue. In the meantime, here’s a short video of the Met and Kate doing their thing! You can also watch this video (below) of Tom’s championship run with his dog Sly in 2010.